Cosmetic Gel is in the demand today. Gel attracts everyone! This course is practically designed to make your own gel as per your skin demand. We offer Advance Cosmetology Course to the valuable customer. 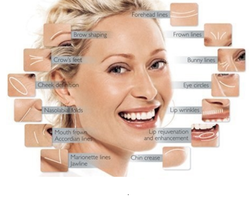 It provides you basic idea about Cosmetic Sciences. Chemical ingredients used in cosmetics, their properties, uses, harmful & useful effect on the skin & hair, function of different kinds of cosmetic. Making of own creams, lotions, cleansing milks, shampoos, toners etc. Skin Theory, Electrology, Home Care Recipes For Skin and Hair, Basic Facials, Hair Trichology, Hair Disorders, Shampooing, Conditioning, Henna Application, Blow Dry, Roller Setting, Crimping, Ironing, Tong Rod Set, Hair Cuts, Chemical Jobs, Hair-Styling, Day Makeup, Evening Makeup, Engagement Makeup and Party Makeup. ourse Contents: Skin Theory, Electrology, Home Care Recipes For Skin and Hair, Basic Facials, Hair Trichology, Hair Disorders, Shampooing, Conditioning, Henna Application, Blow Dry, Roller Setting, Crimping, Ironing, Tong Rod Set, Hair Cuts, Chemical Jobs, Hair-Styling, Day Makeup, Evening Makeup, Engagement Makeup and Party Makeup.